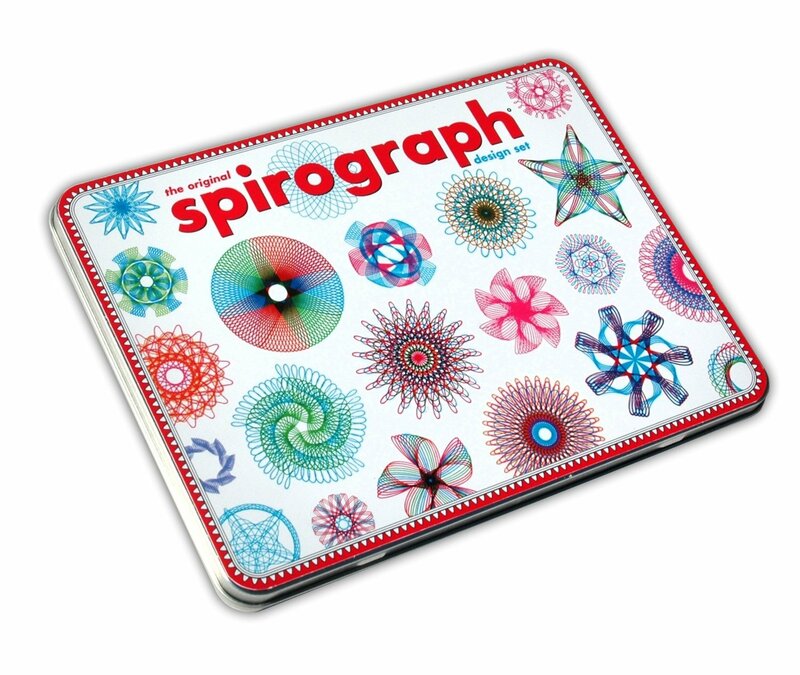 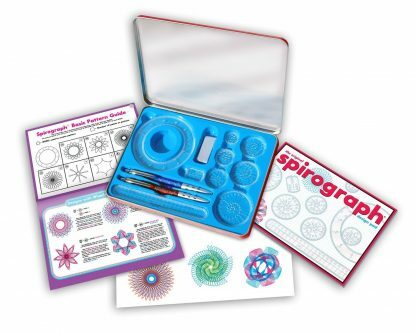 Since it was first introduced in 1965, Spirograph has made it possible for aspiring artists of all ages to create beautifully intricate designs, originally developed as a drafting tool, by a mechanical engineer named Denys Fisher, the distinctive wheels and rings of the Spirograph cleverly combine, the principles of art and mathematics in a way that has inspired and delighted generations. 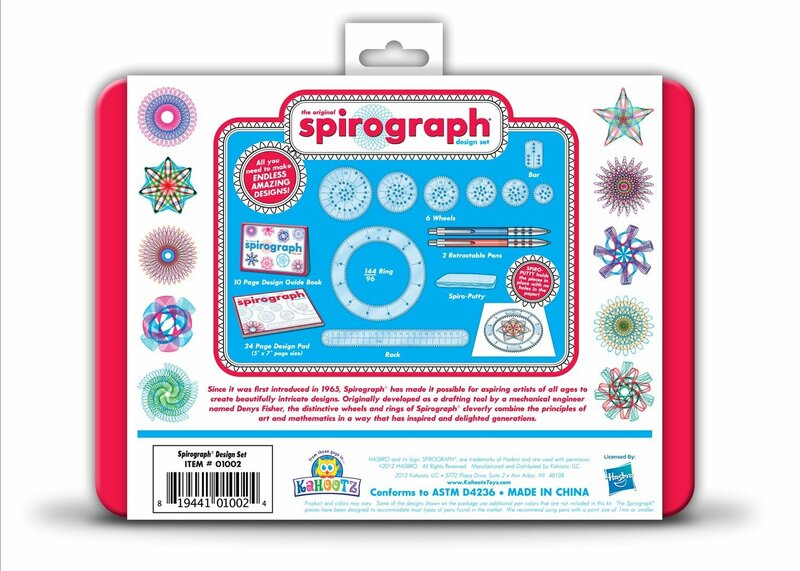 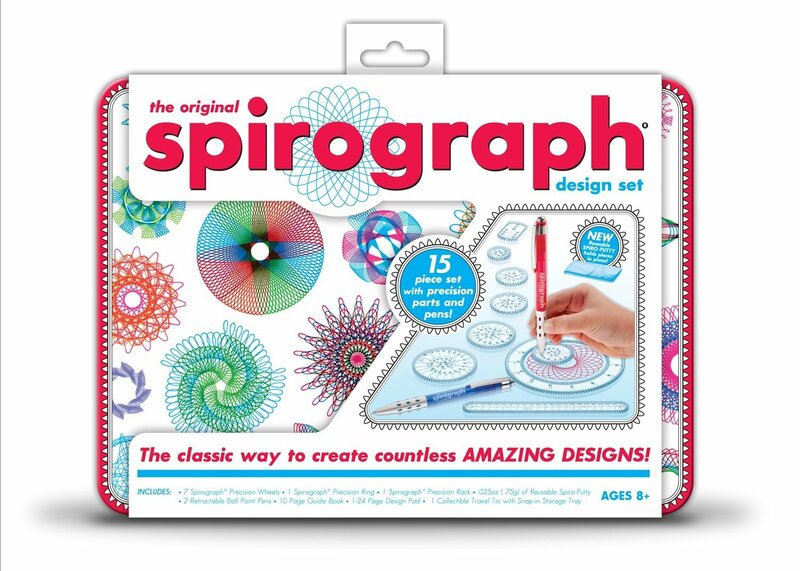 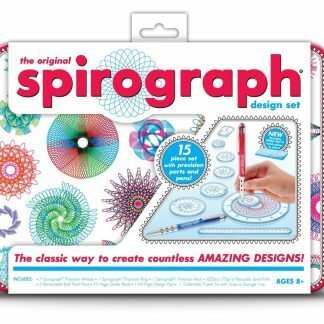 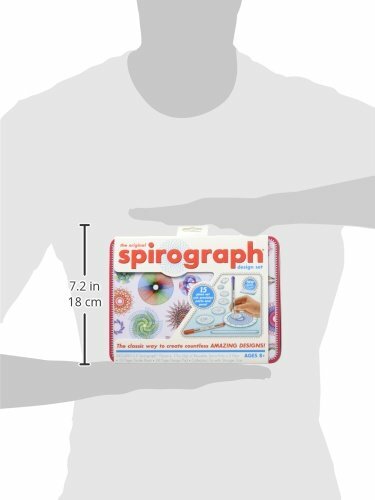 Now you too can create your own cool designs and awesome pictures with the help of this fun and classic Spirograph drawing accessory. Put your paper in place and then choose again and again from 19 different gears to mix and match patterns and create a totally awesome image. Use the design guide to try out tried and true designs or get creative and create cool and colorful graphics of your own. 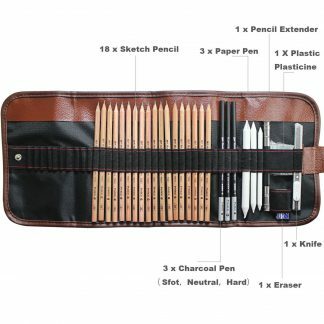 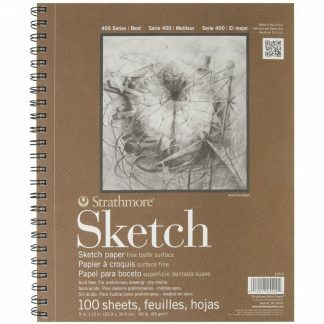 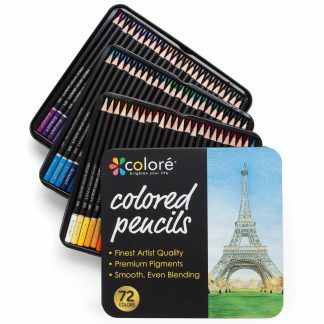 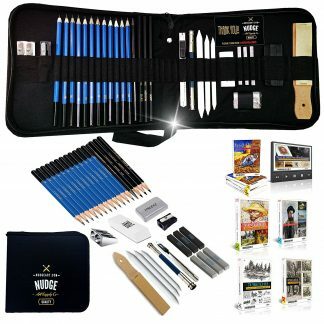 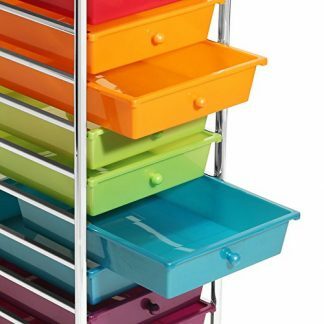 Drawing accessory includes tray with built-in storage and includes 7 wheels, 1 gear ring, 1 gear rack, 2 ball point retractable pens, Spiro-Putty, a 12 page design guide and a 24 page, 5″x7″ design pad.